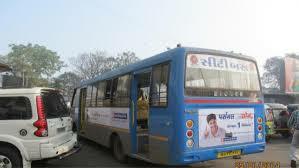 Surat Municipal Corporation has been chosen for the ‘Best City Bus Services Award’ by the Union Ministry of Housing and Urban Affairs for succeeding in attracting 87% of the private vehicle and auto rickshaw users to use city buses. Mysuru’s Public Bicycle Sharing has won the ‘Best Non-Motorised Transport’ Award while Kochi (Kerala) has been chosen for the ‘Best Urban Transport Initiative’ Award for completing its Metro Rail Project in a quick time besides integrating the metro with other modes of transport.H-TRIMS of Hyderabad, the Traffic Integraged Management initiative has been chosen for the ‘Commendable Initiative Award’ under ‘Best Intelligent Transport Project’ category. Chittor has been chosen for the ‘Commendable Initiative Award’ for the city police’s initiative for improving road saftey.